4K TVs happen to be among the very best in gaming. Why? This is simply because the kind of features that these TVs come with are more sophisticated than those of other versions. Gamers must note that 4K TVs are an advancement of the previously known versions hence they should expect better features. The main challenge that gamers might face is choosing the right 4K gaming TV. 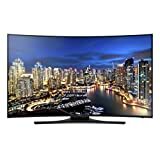 Just like in other cases, it is very possible to come across 4K gaming TV that is either counterfeited or one that does not meet all the basic specifications. Considering that such TVs go at a considerably high price, it is not a great idea to undertake an inconsiderate selection. In other words, the 4K TV you have chosen should be a perfect match with your budget. What are some of the things that you should consider in 4K gaming TV? One of the main defining traits of 4K gaming TVs is the resolution. It is important to note that resolution for 4K gaming TVs is far much better than that of other versions. However, you may come across a TV claimed to be in the 4K category yet without the highest resolution. To be precise, a 4K gaming TV should feature resolution of 3840×2160 or even more. With such resolution, image display is made better and detailed. This comes as the second most important feature to consider in a 4K gaming TV. Refresh rate is the core determinant on whether you will be able to engage in fast gaming or not. A 4K gaming TV should have the capacity to support fast gaming without any hitches. 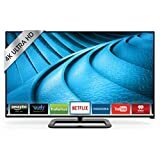 It is recommended that you consider buying a 4K gaming TV that has the refresh rate of 120Hz and above. If it goes below that, then it may not be the best experience gaming on that particular TV. One of the things that make 4K gaming TV best is the fact that you can sit close to the screen and game without any strain. Of course this is a feature of convenience among gamers. You will not have to wear your gaming glasses simply because you are very close to this type of gaming TV. If you realize that the 4K gaming TV that you want to buy does not support close-view, then you should ask yourself a number of questions. In other words, if you cannot game while close to the screen, it means that you are dealing with the wrong choice. To make it clear, input lag is basically the duration that it takes for a particular gaming TV to generate images. This is a very important feature for high-end games. If you are the kind of person who loves very sophisticated games, especially the latest releases, then you will certainly require a 4K TV that has high input lag. If you must know, the input lag of any gaming TV is a complement to resolution as well as refresh rate. What are The Benefits of 4K Gaming TVs? Any gamer who have ever used the 4K gaming TVs can confirm that there are so many things to enjoy. Technology is basically heading toward the 4K gaming TVs and that is why sophistication is part of the package. Gamers are assured of utmost fun when using 4K gaming TVs. If you thought that gaming with your friend on a 4K TV is impossible, then you are wrong. This category of gaming TVs is designed to serve different gamers seated at different angles. Images are seen normally even at an angle that may be considered unfavorable in other gaming TVs. Old versions of gaming TVs will simply not allow you to sit very close to them without experiencing eye problems. This is something that 4K gaming TV users are protected from. The mechanism of this TV is made in such a manner that gamers can draw very close to them and still view everything comfortably. One of the reasons why it is possible for you to enjoy a close-view of your games on a 4K gaming TV is the deep image detail that it comes with. Clarity and color of the images generated by this type of TV is indisputably the best. 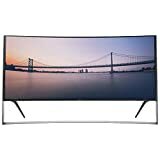 The fact that this gaming TV is curved makes it outstanding in a number of ways. First, the curved type of 4K gaming TVs is a perfect example of modernity. Secondly, the viewing angles of gamers are in variety. With a refresh rate of 120 Hz, it is possible for any gamer to participate in fast-speed games without flaws. It is a 55-inch flat screen gaming TV that can work perfectly for literally any gamer. It comes with a perfect resolution of 4×1080. The full HD display technology of this TV is another feature of complement to gamers. It is an assurance of very clear and sharp images. It is important to note that this TV has 64 active LED zones. This further complements the kind of display that you should expect. Image adjustment features facilitate color balance, contrast and other major settings for perfect gaming. If you are the kind of person who loves large screens for gaming, then here is the ultimate choice for you. It features a screen of 105 inches. This you must agree is large enough for any form of gaming. The gaming TV comes with 120 Hz native refresh rate. To further complement its functionality, the same TV feature 140 clear motion rate. With 4 HDMI ports, gamers are assured of multiple inputs. Gaming has never been better than this. The curved screen is an added advantage since gamers are offered a wide range of viewing angles.